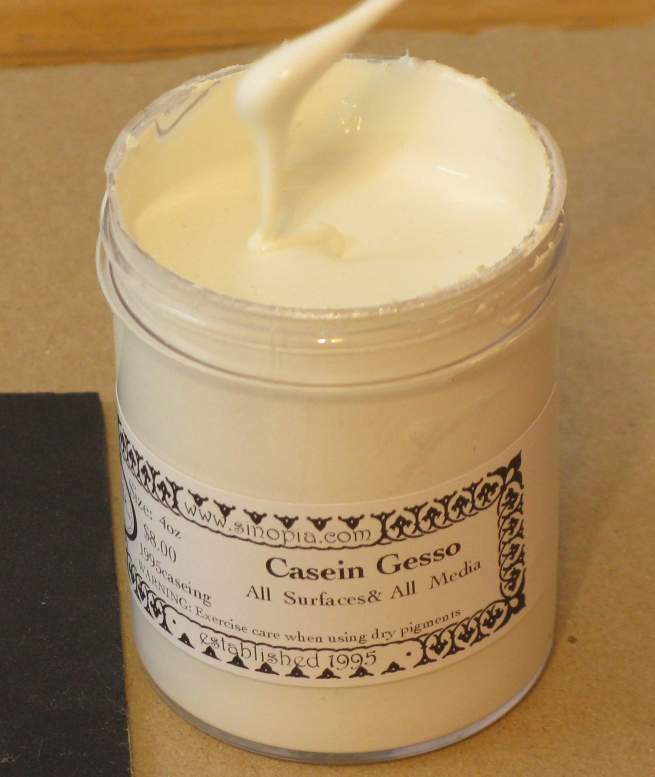 A couple more points to make about this gesso: I wanted to see how well it protects against oil penetration, so I painted two coats on some thin paper. Once oil touches the paper it turns translucent, so that’s a good way to see from the back if oil penetrates. 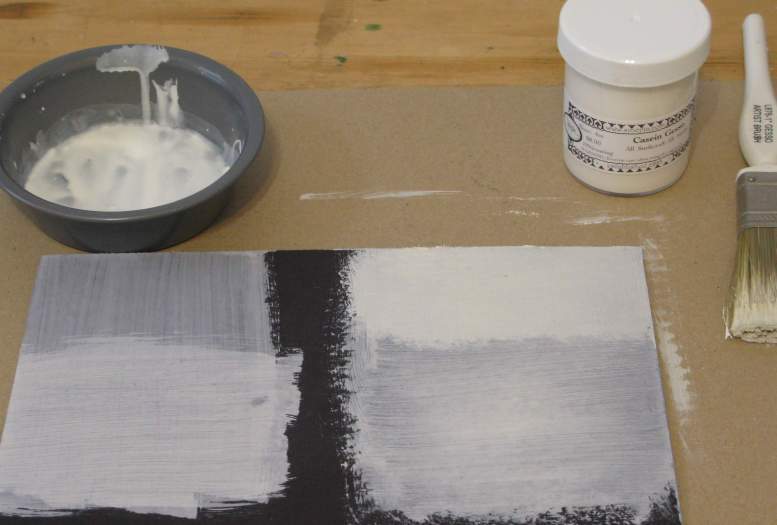 I saw only a couple small dots where oil made it through, so to be safe, I’d recommend sizing the paper or canvas first, or painting on more than two coats. So useful, as usual – thanks very much, David. Koo, herself, didn’t care too much for this product, saying it didn’t fit her own working methods. It’s likely she didn’t go through the preparation steps that this other user did, who gave it a favorable review. Thank you for your article. 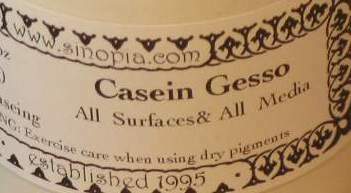 My daughter and I purchased Sinopia’s casein gesso and have been applying it to hard surfaces for some egg tempera paintings we are doing. It’s nice to know you have experimented with it. 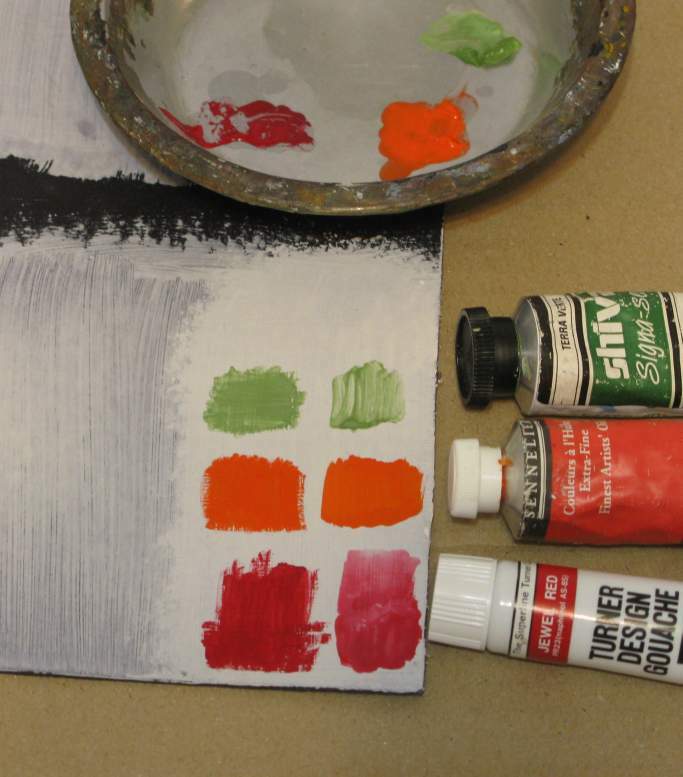 I applied it straight to masonite, once on its smooth surface and once on the rough backside. Interested in seeing how it will work. 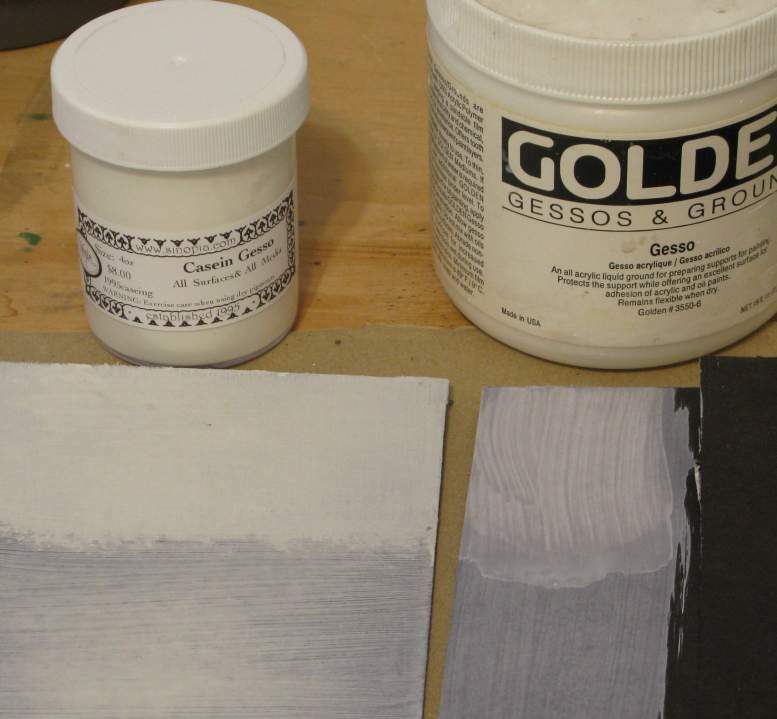 My daughter found it to be quite absorbent for eggtempera, which we are applying in layers as we do in Iconography.